Our turkeys are Certified Non-GMO, GAP Step 5+ and Certified Humane. We weren’t able to smoke these breasts on the farm, since we had more available than we could handle. So, we called our dear friends in Minnesota, the Lorenz crew to create this special treat. 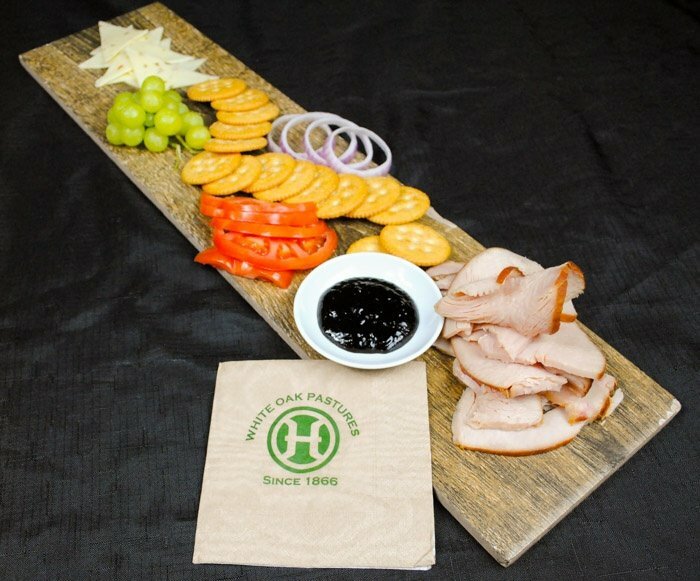 We know it was smoked and cured by some of the best in the business, and we look forward future items we can have further processed at their facility. To keep these breasts juicy, we’ve left them whole, which allows each customer to slice them best for their application. “As a working mother, I appreciate the convenience of a high quality product that is ready to go! Who has time to cook these days?" comments Tourism Manager, Jodi Benoit. We are excited to offer this easy on-the-go option for our busy customers. 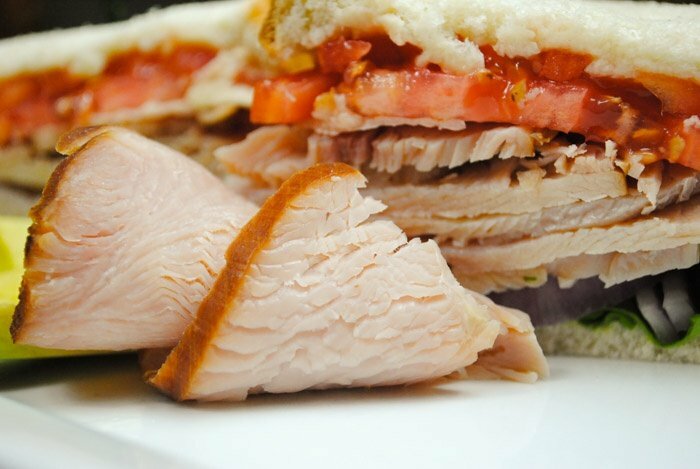 You can find these delicious, smoked turkey breasts on the freezer shelves in our General Store in Bluffton, Georgia, or incorporated in some of our On-The-Go Food options sold from our Store. Ingredients: Turkey, Water, Sea Salt, Maple Syrup, Brown Sugar, and Cultured Celery Juice Powder. Each pack will weight .1.61-2.0 lbs each. 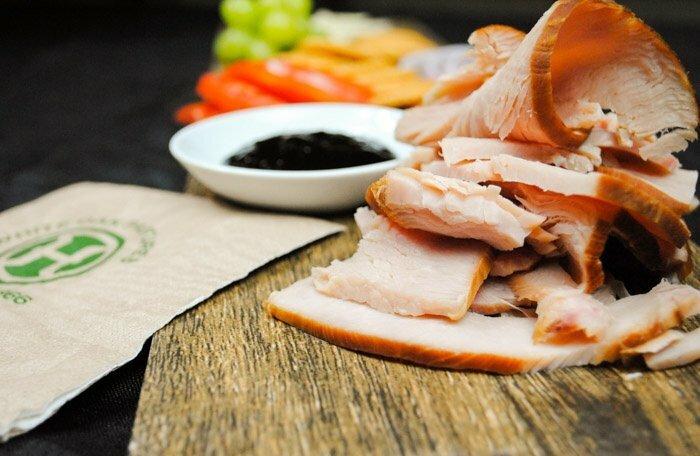 Our turkey breast is naturally cured and hardwood smoked.